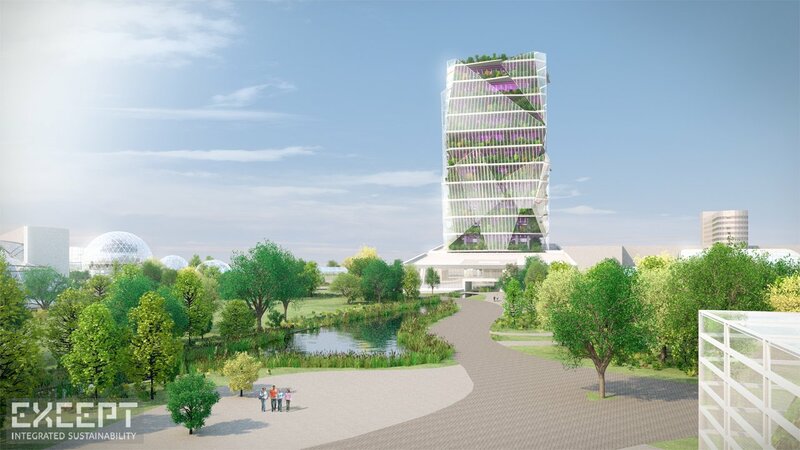 The tower's user experience promenade starts at the panoramic roof garden and winds down the tower, alowing the visitor to see all aspects of the farms on the top floors. 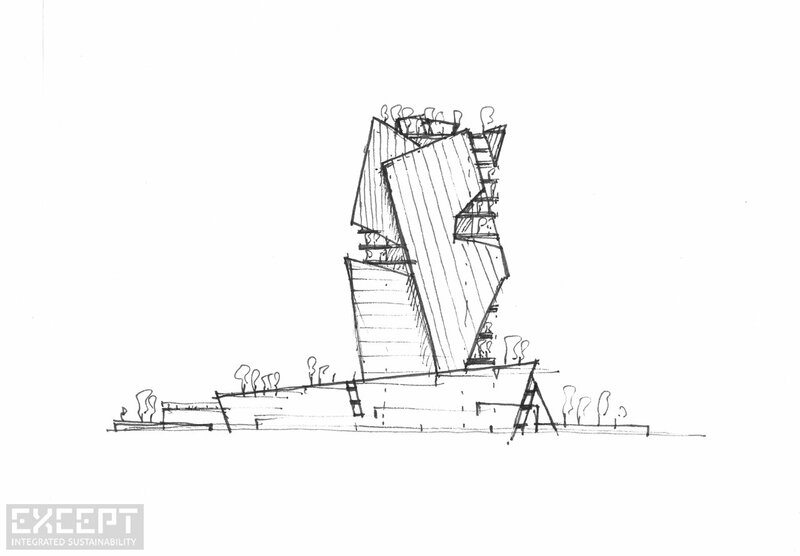 The complex is structurally calculated, costed, its feasibility confirmed, and the design is embedded in an ecological expo-park. 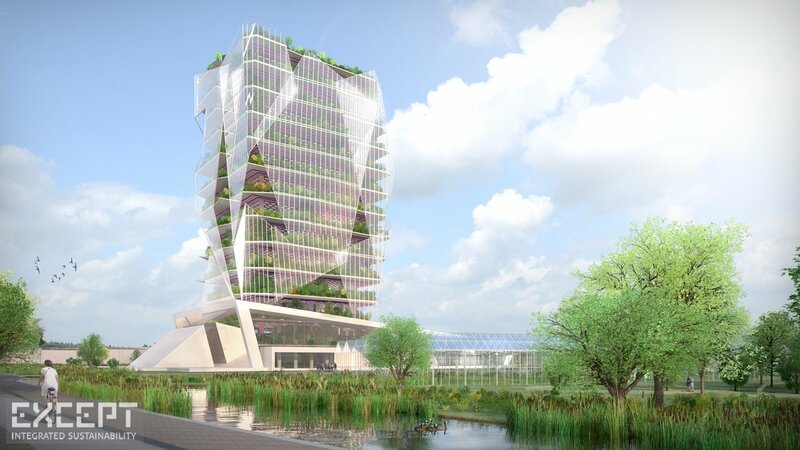 Except designed this vertical farm tower with a team of partners for SIGN, a Dutch foundation that stimulates innovation in the Dutch greenhouse industry. As a beacon in the patchwork of greenhouses of the Westland landscape, the Hortus Celestia arises from an ecological park. 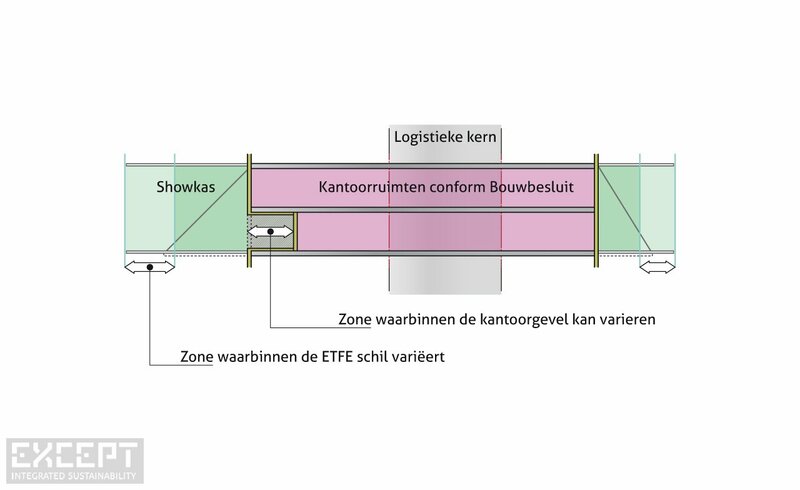 Behind the ETFE facade, beautiful and demonstrative greenhouses are located in which crops, from tomatoes to roses, are displayed to the audience. The rooftop park on top of the 80 meter high tower lets the visitor expierence a panoramic view of the innovation and activity in the surrounding area. 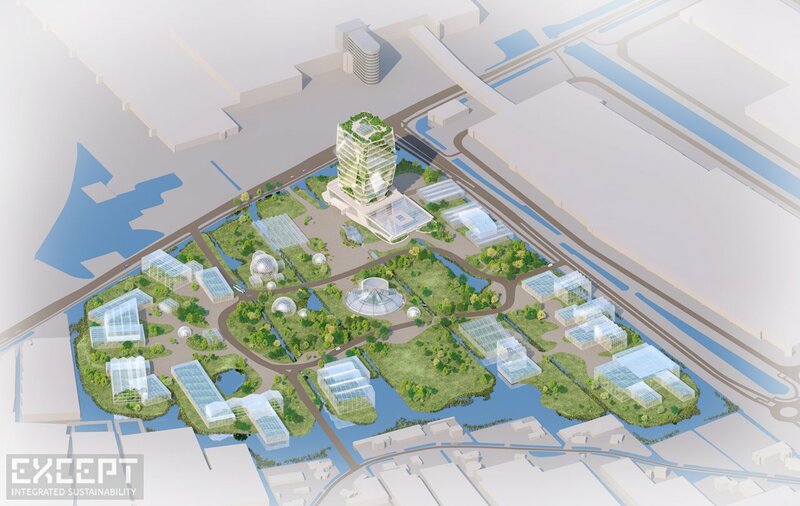 The Hortus Celestia unites entrepeneurs in horticulture in an extrordinary icon for business partners and visitors right next to the logistic hub, the Naaldwijk trading centre. The rooftop park is the highlight of the expo along exhibitions of local horticulture businesses on the underlying floors. The grond floor houses an auditorium, restaurants, cafés, varying exibitions and event spaces. It also showcases the innovative systems that allows the tower to perform. The Hortus Celestia is surrounded by representable offices, schools and greenhouses used for demonstration and expo's. 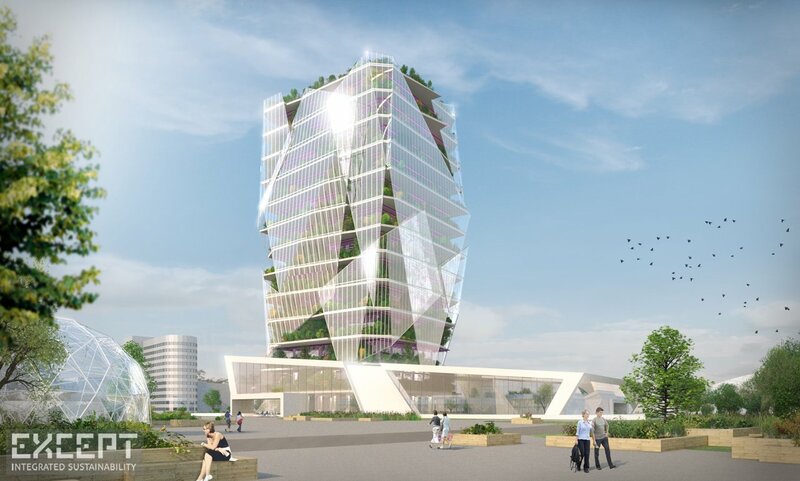 The tower is embedded in an extensive ecological park that provides local residents and vistors with an immersive experience in natural beauty and biodiversity.